I feel like I'm now watching the adventures of Soul-less Dean and Could-Care-Less Sam. Where are my Winchesters? No seriously, where are they? Hopefully finally visiting the Grand Canyon. Together. I'm going to admit right here, that I'm still struggling with getting from season 7 to season 8, the characters of Sam and Dean don't really track for me. There's too much unexplained, too much has been left out, am I supposed to chalk up all the difference in characterization to Purgatory and Amelia? It feels like they're asking me to swallow too much retconning with not enough of a reason to. Or maybe I'm just a really bad fan that's "watching wrong". I think the scene that really killed me the most was when Dean was arguing with Sam and told him that "The one thing I can say about Benny is that he has NEVER let me down". You can see instantly that Dean's words have had the wounding effect he was looking for, it was maybe the only way to get across to Sam that he really meant it about not hunting Benny. Jared conveyed how Sam was just then in that second realizing that the whole rant from Dean while he was possessed by the spectre, that was Alllll Dean. He meant it all. The whole thing. And you know they hadn't talked about it, of course not. So it hit Sam in that second, that yes his brother really didn't ever truly forgive him, even though he's said he has, that deep down, Dean still doesn't trust him and maybe even wishes Benny was his brother instead. It was really painful, and Jared played it just right, a controlled anger underlaid with a soul deep pain. Jensen did an awesome job too with that awful sneer where it looked like Dean was almost taking a sadistic delight in breaking his brother's heart. Arrrgghhh, such Drama! Seeing Dean go from trying so hard to get Sam to stay with him even though he knows Sam doesn't want to "I know where I'm at my best, driving down crazy street next to you." to manipulating him with every jealous, scorned-lover trick in the book is giving me whiplash. Maybe Dean really has lost all sense of boundaries because of Purgatory, but they've never messed with each other's love-lives before, they've only been encouraging. Or more likely, Dean is probably wondering if Sam missed or forgot the whole Lisa and Ben thing, you know where they were placed in mortal peril and had their minds screwed just because of being involved with Dean for awhile. Because yeah, I haven't seen that mentioned much, but why in the world, no matter how screwed in the head Sam is, why would he risk involving a civvie? He knows better (hello Jessica! ), he has so many examples of why not to, and this little phone trick of Dean's should point that out to Sam loud and clear that it was a huge mistake to even go there. As an aside from all this character ranting, I'll admit that I just really really wanted Benny to at the very least lick the drops of blood off of Dean's neck. Just enough so that Dean would have been scared to death and maybe a bit turned on what with Benny looming and all. 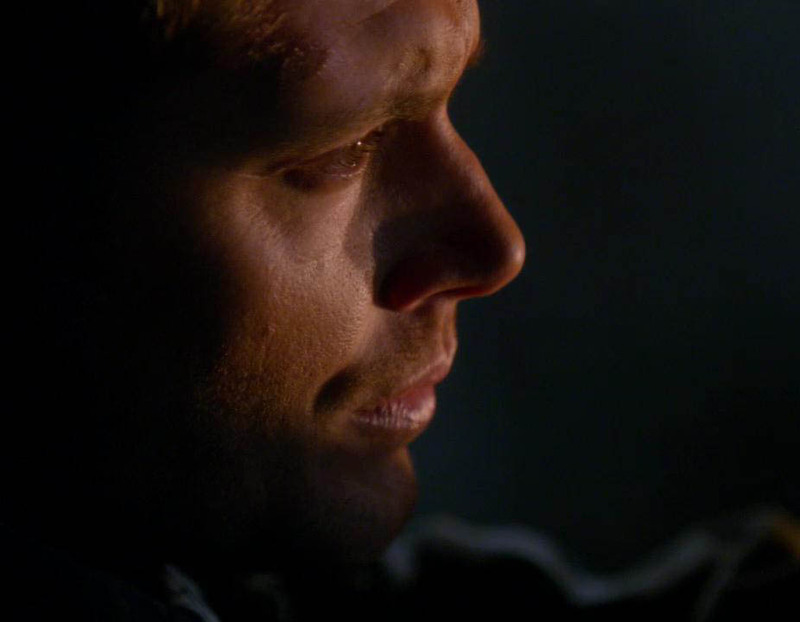 In my admittedly shallow estimation, it just isn't a good SPN ep if Dean isn't getting loomed over. Don't vamps have that skin healing thing in their saliva? It would have been for a good reason you see. 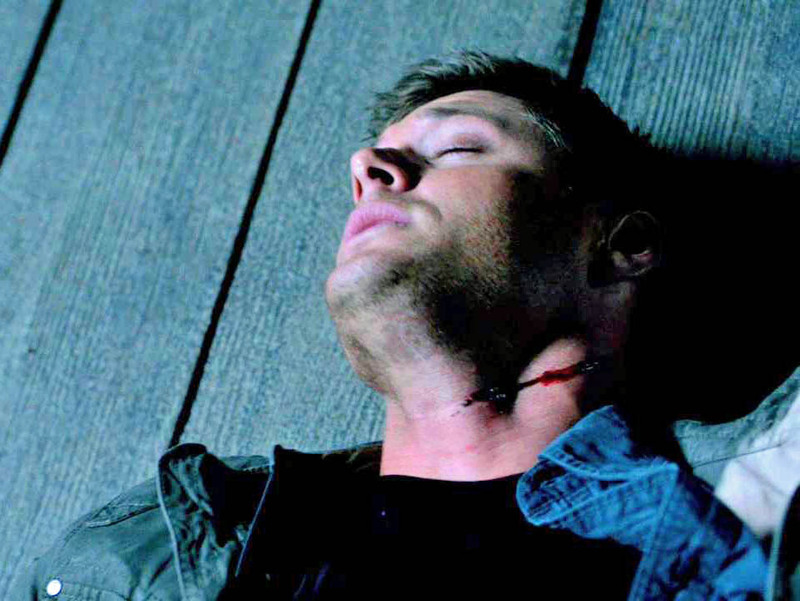 But just, unf, that neck with the line of blood adds up to yum. Maybe I am part vamp or something idkek. Dean's line to Benny about "Guys like us don't get a family.We don't get a home. We don't get family." made me really mad and really sad at the same time. I was glad that Benny pointed out "You've got Sam." and sounded a bit sad and jealous to boot. 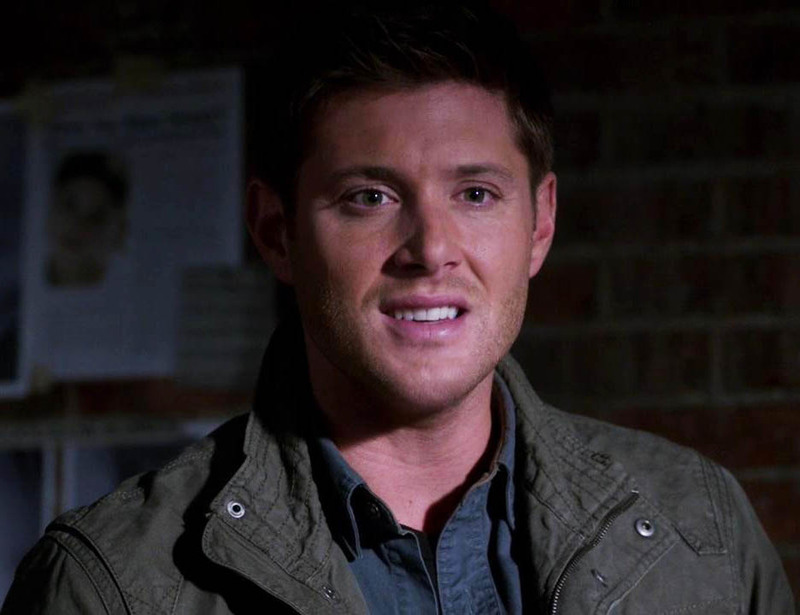 Dean's face at hearing that showed that he's maybe not so sure if he does anymore. Because he knows how badly Sam's going to react to the phone message trick he pulled to get Sam away from hunting Benny. I did think that Dean's reaction to Sam's putting a tracker on Benny was much more understated than Sam was expecting. And Sam letting Dean go off alone to look for Benny "for a few hours" was also very understated (and a little strange, I'll stay here with Martin, you go ahead and look for the vampire you trust that I don't and think might be killing people, hmmm). When Dean was arguing with Martin for not killing Benny and how trustworthy he is, he looked to Sam to back him up on it, and Sam couldn't of course. Because Dean hasn't told him much at all about Benny and why he should be trusted. Gee Dean, maybe you should have, because of all the people you know, who is most likely to be pre-disposed to trust a monster (Lenore, Ruby, Amy, Maidson anyone rememeber them?)? Oh yeah maybe try the guy in the front seat next to you. In a way I think the brother relationship is being shown as a scorned lover/ jealousy type of thing, which is another mark for OOC for our bros, they're not usually like that (as much as I'm an wincest OTP'er) in canon. 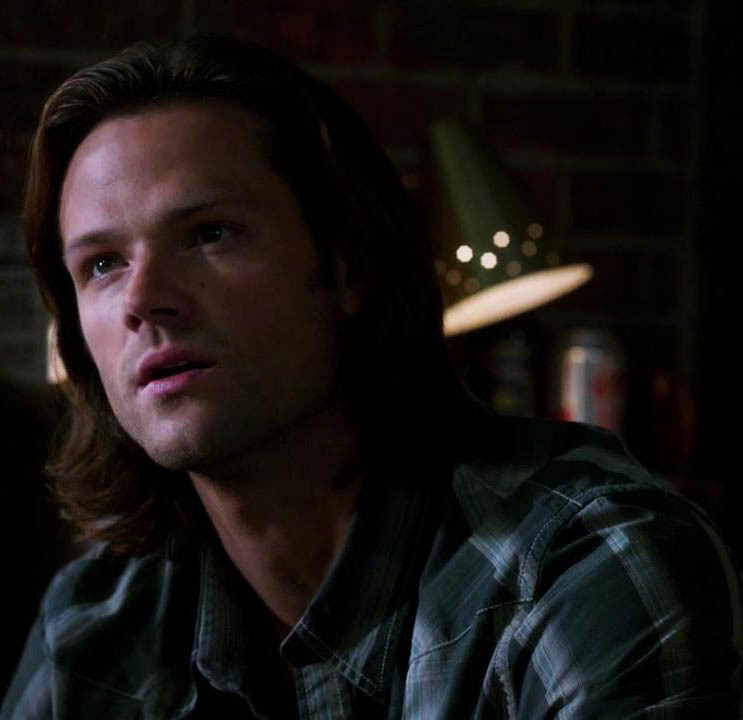 Although I do wonder if Sam hadn't been brought back soul-less in season 6, would he have been shown as jealous? We as the audience can plainly see that Sam is feeling resentful and jealous at being replaced in his brother's affections, oh and on top of that, he's a vampire (which brings up the Amy thing). Also Sam's feeling guilty for having let Dean down again for not looking for him and also angry that he even has to be hunting again and almost paralyzed by fear that Dean will get killed again. We as the audience can see that Dean is feeling betrayed that Sam didn't look for him and quit hunting immediately, brings up all the Stanford era abandonment resentment stuff that he's never gotten over. He's angry with Sam about it, and jealous of his time out of the hunt, and maybe even of the chance he had at a relationship with Amelia. Neither can express this to the other one because they won't talk, won't even try to. For the last 7 seasons, Sam was always pushing Dean to talk, he was a perfectly annoying little bro about it, it was a huge part of his character. Not this season, he doesn't ever want to talk for some reason. And hopefully that's the twist as far as Sam's character goes, there's something making him be that different. And Dean is interpreting that not-demanding-to-talk as Sam not caring about him. Instead of being curious why his brother is acting so strangely, he's blinded by his hurt and betrayal to realize he's practically got another Soulless!Sam situation on his hands. Or maybe for something new, NotCaring!Sam. This episode brought out to me how much more screwed up Dean is than we'd previously realized. For him to do that to his brother with the text message thing, to hurt him that way, especially since it would be endangering Martin too highlights how un-Dean he is right now. Is it OOC or just post-Purgatory though?Is it angel interference somehow, because they need the Winchesters to be apart to re-do the apocalypse? Other than that I've got nothing. I honestly would have rather had Dean knock Sam out and handcuff HIM to the damn radiator. The preview for episode 10 with Cas ordering them to "stow their crap" kinda sums up this season doesn't it? So much for the promised character growth and maturing relationship, they were much better off at the end of season 6 through season 7. I was watching a season 1-5 video about Dean's love for Sam today, and I was struck by the thought that the Dean from 8.09 wouldn't do what he did for Sam at the end of S2. Making that sacrifice wouldn't even cross his mind. That's how much he's changed. And Sam wouldn't expect him to. And that's what makes me so sad about the loss of what the brothers once had. .And what happened to "you know me, you know why" Sam? The Sam of season 8 would have just stayed in his mind and gone and lived with his memories of Jessica and not taken on the memories of hell. These two characters are just too different for me to even recognize. They haven't shown (or really told) me why they're behaving this way, so I'll admit it, I am confused. As the saying goes, "I came for Dean and Sam, I'm staying for the J's." I'm going to keep watching until the show ends, because I still love this show, and I love watching the J's on my tv screen, but I might not rewatch this season much, depending on how they wrap it all up. There still might be a reveal that explains everything. But in my opinion they've left it much too late in the season, or haven't hinted strongly enough. Soul-less Sam was pretty much known about by episode 4 I think, and god, that was hard enough to get through. So how are the next few episodes going to treat all this, will they sweep it under the rug and pretend it didn't happen (like after Southern Comfort?) 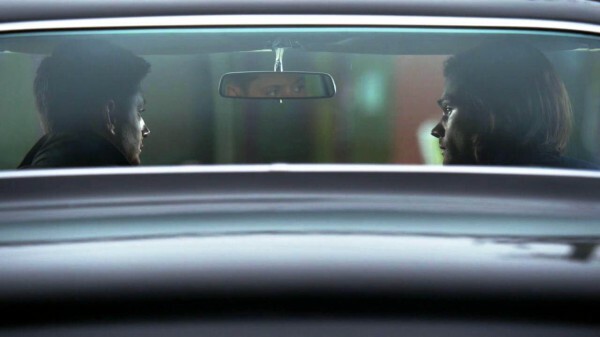 or will there be a big knock-down, drag-out fight between the brothers? I vote for a fight. With Cas using his new super-duper powers to slam them up against a wall and hold them there until they talk all this out. Well it is of course going to be the February sweeps, and for the obligatory sweeps twist, I suppose they could always have Amelia be chasing after Sam to the bar because dunh duh duhhhh she's pregnant! With maybe Sam's or Don's child (for extra bonus tension) and she was just gonna call Sam to have him take a blood test to see who's kid she's carrying. What is this show anymore that that's even a possibility? Or how about this wacky theory, all those re-used actors this season (really noticeable how many! ), and re-used character names, means that the entire season 8 is someone's bad dream/hallucination/projection using one or both of the Winchester's minds. Probably Dean's since Sam is the most blaringly out of character and in the exact way that Dean would hate or worry about the very most. So who do we know on SPN who would have that power? Angels. 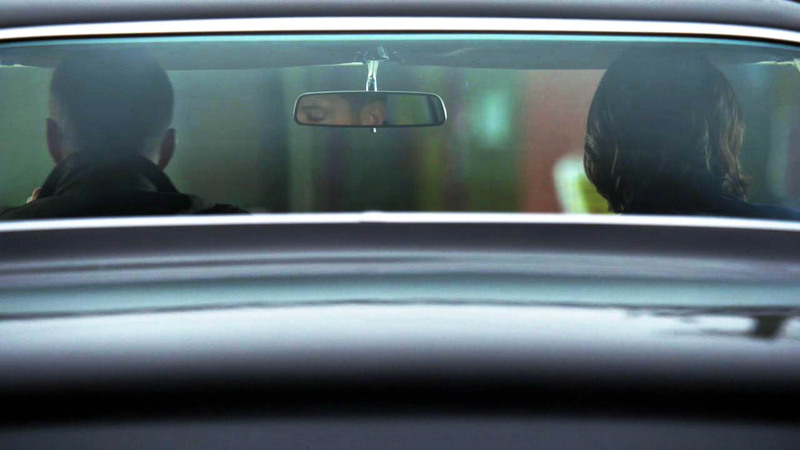 Who has gone to great trouble and expense to pull Cas out of Purgatory to have him unwittingly spy on Sam and Dean? Angels. Geeze, you know it's bad when you're hoping that the whole season so far is one of the worst tv-tropes ever. But at this point I would eat that up with a teeny tiny demitasse spoon and love it, I swear I would. Or how about this wacky theory, all those re-used actors this season (really noticeable how many! ), That's my wacky theory. I hope that this is just a bad hallucination. I don't get these Winchesters at all. "and a little strange, I'll stay here with Martin, you go ahead and look for the vampire you trust that I don't and think might be killing people, hmmm" What was even stranger was when Martin knocked Dean out and Sam just left with him. What version of Sam does that? While I hate the message Dean sent Sam with a passion, I don't know how else he was going to get him off Benny's tail and not have to risk one of them getting killed. His talking to Sam about it and trying to convince him was getting him nowhere. "They haven't shown (or really told) me why they're behaving this way, so I'll admit it, I am confused." I agree. I'm with the show 'til the end, but I hope some semblance of the Winchesters I love show up again. Another believer in the wacky hallucination theory, good to know! Wouldn't that be something if we're even close to right? Yeah, I know Dean didn't have a lot of alternatives to get Sam to back off on hunting down Benny, that's why I wasn't really joking when I said I wished he'd knocked Sam out and left him cuffed to the radiator instead. I too hope the Winchesters we know and love come back to us soon. I miss them!